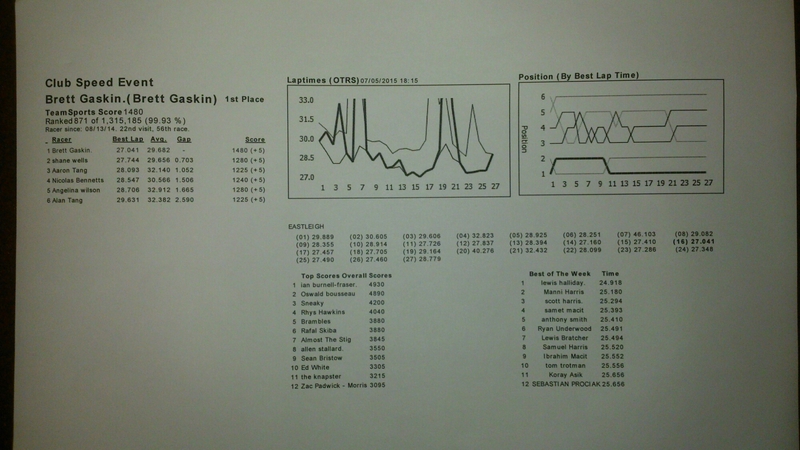 Once again myself and my colleague, Nick, decided to go karting at Eastleigh on a Thursday evening, straight after work. There are advantages and disadvantages to this (some of which I will describe in this blog post!). We arrived an hour too early because, sometimes, the traffic getting out from work and getting into Eastleigh is horrendous, so we factored that into the time that we planned to leave work. On this day, however, it was a breeze and I arrived there in approximately 25 minutes and Nick in just over half an hour. We then had a chat until the “racing” started with the group before us at 6pm. The track looked treacherous; the sun was reflecting off the surface like it was a sheet of ice. The first group out on track included a variety of driver skill levels to put it nicely. As there were only six of us in our session, we would be taking a subset of these karts currently out on track; two karts in particular were going very slow, so ideally I wanted to avoid either of those ones. Yes, you guessed it, I got them both throughout the evening! We left the pits in the first session with Nick just ahead of me. I quickly overtook him, even though I was struggling to carry any speed through the corners due to the tyres being so cold against the slippery track. Nick retook the position on lap four after I span my kart pushing too hard at the large hairpin under the bridge. I composed myself and chased hard to regain the ‘lead’ just two laps later. From then on, it was plain sailing for me; no pressure from behind, and then just a steady stream of people to lap, who didn’t put up a great deal of resistance. I finished first and managed a fairly respectable lap time of 27.041s in this session, over 1.5s quicker than Nick’s fastest in this session. 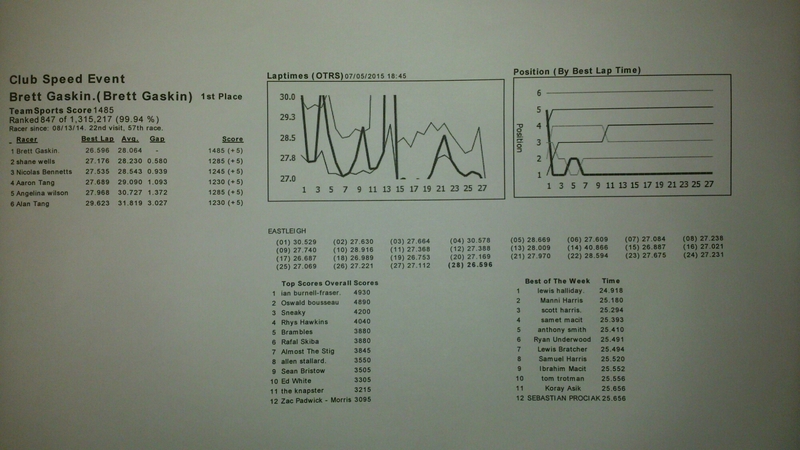 I was happy with that time considering the feel of that kart in the first ten laps. After a brief break, we were back on track. As one of the drivers had pulled out of the previous session, there was a kart sitting at the front of the pits having not been driven for 30 minutes and not driven “hard” for at least a few hours. That kart was given to me for my second session, so I tried to get some heat into the tyres as quickly as possible and race around the track to lap my colleague (who I had just missed out on lapping in the previous session). Alas, due to a scattering of yellow flags, it wasn’t to be, but I did manage to pull just over half a lap away from him by the chequered flag. I posted a lap time of 26.596s in this session, finishing with the fastest lap as in the previous session, and just under a second ahead of Nick this time. I’m not only battling for faster times on the track, I am now also battling my weight off the track; I’m being really strict and following a diet plan to lose about 20kg of weight to at least help in my efforts to compete with the smaller, lighter and younger drivers in the local and national events.